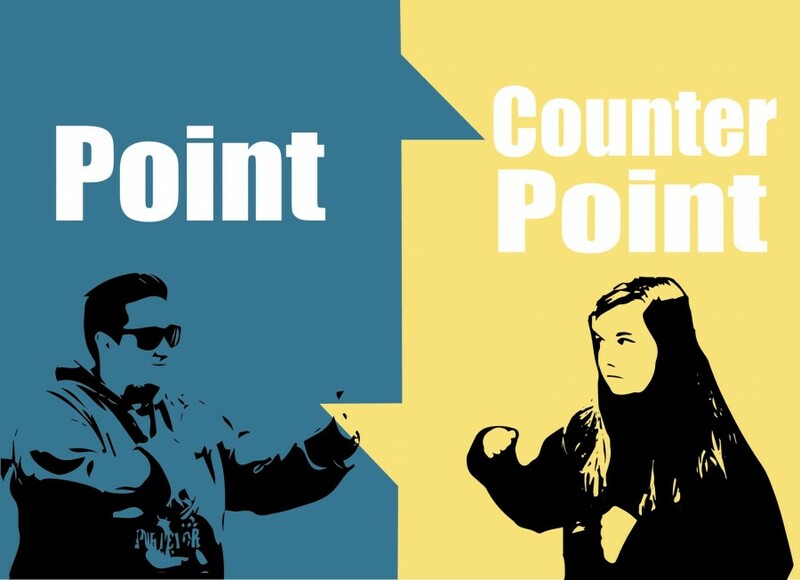 Point Counter-Point: Is it important to keep traditions alive? I’m a bit fickle when it comes to traditions, and not just in keeping them or not keeping them, but also concerning why we have them at all. St. Patrick’s Day is this week and I can guarantee that I will see a sea of green on this day. It is likely even I will participate in this custom. But, why? Why are we slaves to traditional trends? This Irish holiday is an American appropriation that is not even truly celebratory of Irish history as it is of giving us justification to drink. St. Patrick wasn’t Irish, his traditional color is blue, not green, and Ireland’s climate is too cold for it to support all those snakes that he supposedly drove out of the country. We’ve taken what basically started as a day of political and social representation in America and have turned it into this drunken excuse of a holiday that it is known as today. Ignoring all the things wrong with how we celebrate St. Patrick’s Day, I still have my issues with traditions. But that’s mostly because I both think it’s stupid to carry on behavior for the sake of something like tradition and, conversely, hate when things aren’t the same as they always have been. I’ve argued with my mother, several times, when she tried to change our typical Thanksgiving meal. And the one time we tried a different main dish, unsuccessfully, for Easter? I remind her of it every time we do try something new – because I’m a picky brat that doesn’t like change. However, I also end up tolerating most holidays as I don’t like the act of traditional traditions. I don’t like decorating, I don’t like Christmas songs, I don’t like the formality of it all, the same things over and over. While I like getting stuff, I’m hard to shop for and find myself disappointed a lot of the time. But I participate. Not for myself, but for my mother and my niece and nephews, because that’s why we keep traditions alive, isn’t it, for others? So, are traditions important? I don’t think so, but I’ll concede my obstinate behavior out of respect. Sometimes, we just need to start our own traditions, like having a horror movie marathon on Halloween, buying a Christmas gift for yourself and recognizing the birth of a fictional character every Jan. 19 because, as is tradition, we can and so choose to do whatever the hell we want. I will admit, I am 20 years old and I still partake in my family’s annual Easter egg hunt. I look forward to it every year; I’m not sure if it is the thrill of the hunt, the satisfaction of finding more than my siblings or the sweet chocolate treats. Traditions like these get you in the holiday spirit. I am in love with many holiday traditions like leaving cookies for Santa and carving Halloween pumpkins. If I didn’t celebrate these traditions, the holiday just wouldn’t be the same, and the same goes if one of my family members misses out. Traditions are like heirlooms, they are passed down through generations of our families and should be passed down to our younger generations. Some you love, and some you hate, but either way they make the holiday special. Despite my love for traditions, there are many that are silly and are frankly annoying. For example, making Christmas lists. I despise the idea of sending people a list of what to buy for you because you think you deserve it. Presents should come from the heart, not from a list. The question becomes what traditions deserve to be celebrated? That is for you to decide. If there is even slight disagreement about traditions, why should we celebrate them? If these annual rituals bring such disgust to people, should we partake in them? Traditions establish a sense of comfort and belonging, which brings families and friends together. They also serve as a medium to create lasting memories with your loved ones and an excuse to come together. You are given a reason to blow off responsibilities to celebrate your family’s annual pumpkin carving. But traditions are not all about partying, they offer context for meaningful pause and reflection, and reinforce the values and beliefs we hold dear. Traditions are the very backbone of families that keep them coming back together every holiday. So don’t feel embarrassed during your family’s Easter egg hunt, times spent together become memories that will last a lifetime.